OPA: How long have you been writing Poetry? 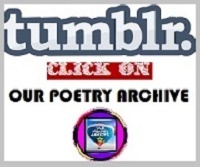 We would like to know the early stories about your growing up as a poet or writer in general. Who are your favourite Poets? What are some of your favourite genres to read and to write? Had they inspired you a lot, do you believe in inspiration as a guiding force behind writings at all? LEYLA ISIK: When I was 9 years old, my class teacher had gave us homework on poem writing and she had found my poem beautiful. This encouraged me and I began to write my first monologues and compositions and at the same time I was playing them too. My writing has been continuously developing throughout all my life since starting from elementary school. My favorite poets are Nazım Hikmet, Can Yücel, Ahmet Arif, CemalSüreya, Ümit YaşarOğuzcan, Attila İlhan, Pablo Neruda…My favorite genres to read and write are murder novel, love, adventure, metaphysical, psychological, nature oriented ones. I believe inspiration is a guiding force behind all my writings. All the experiences of the era that I have tried to offer aesthetically in some sections of my life and artistic and entertainment trends are influenced by the festives, wars, seperations, desires, passions and beautiful constructions in my life. OPA: What has been the toughest criticism given to you as a writer? What was the biggest compliment? Did that change how or what you write? What has been the strangest thing that a reader has asked you? OPA: What is your favourite poem you have ever written? Compared to when you first started writing, have you notice any big changes in your writing style or how you write compared from then to now? LEYLA ISIK: Poetry is a love and passion for me, all my poems are favourite for me, they are my children. There are naturally, improvements between now and the beginning of my poetry. Over time my poems became more mature, and I discovered that I wrote my emotions better with free style. 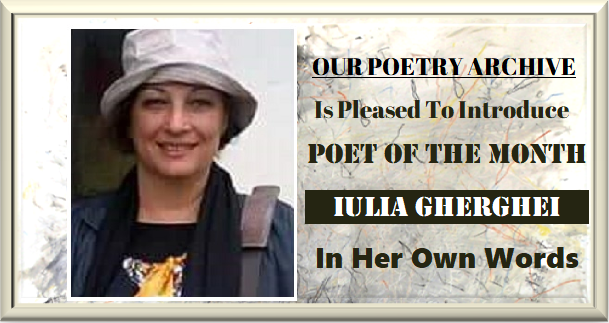 When you look at the whole of my poems, you can realize that I have not stopped back from making innovations by breaking some solid rules of poetry. The language of poetry overlaps with the voice of its content. Sound is composed of rhythm, unique music, meaning aesthetic structure. I write poetry in free form by internalizing everything that happens in my life. I will count myself unjust if I said that "The characters that I put forth are the timber of souls of nature, love, nourishment" as a poet as well as the new words producing, as well as a poet in contact with existing words sometimes exceed the boundaries of logic because of the power of the imagination. OPA: What has been your favourite part of being a poet or and author? What has been your least favourite? LEYLA ISIK: To share my feelings and thoughts with the society, to be universal in my writing, to guide the people by expressing social problems is my favorite part of being poet. As a poet and a writer, I tried to avoid lines of cold and contrite narratives in my stories and to express my sincerity in what I wanted and felt. Also what I like most thing is that I had succeeded being the other in poem . My least favourite part of being writer is that poetry readers are few. OPA: Did you get to quit your day job and become a writer and/or author, or do you still have a day job and writing is something you do for fun? If you still have a day job, what is it? 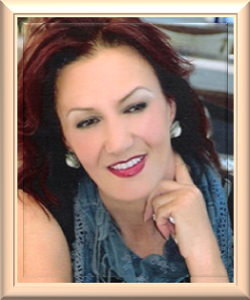 LEYLA ISIK: I have been involved in literature, painting and theather since I was a child. Before retirement I was a teacher. Now I’m dealing with only cultural and art organizations together with literature, painting and theater. I’m the Vice President of KIBATEK and International Organization and Project Coordinator, organized the 31st KIBATEK International Litrary Festival in Istanbul / Tuzla in 2003, 34 th KIBATEK International Litrary Festival in 2004 and 39 th KIBATEK International Litrary Festival in 2016 together with the Pablo Neruda Cultural Association in Taranto, 42nd KIBATEK International Litrary Festival Project in Ortahisar (CAPPADOCIA) in 2017. I’m also besides KIBATEK (Cyprus, Balkans, and Eurasian Turkish Literature Institution), Aegean Cultural Platform Association Cultural Arts and Theater Coordinator, Belgium Barış Manco Lovers Association Cultural Art Advisor, Literature Association, Member of International Activist Artists Association, Turkey Representative and Honorary Member of Italy Pablo Neruda Cultural Association, Member and Turkey representative of World Nation Writers Association. I’m keeping on my works at International Turkish Language, Literature and Translation Platform KIBATEK (Eurasian Balkans, the Cyprus-Turkish Society of Literature). I’m attending conferences, panels, conversations, and poetry feasts at home country and abroad. Contributes introducing Turkish Poetry at the international platforms as a volunteer envoy and publicating interactively and systematically translation of Cyprus, Balkans and Western Europian Turkish Literature in to their dialects. OPA: Besides writing and reading, what is your most favourite thing to do? What genre are you most looking forward to explore during your writing career? Why? LEYLA ISIK: Besides writing, my most favourite things are painting, theather, cooking, travelling. First of all, I must say that I enjoy the work I do.I have been interested in literature, painting and theater since my childhood. I received two years of acting training at the Özel Sahne Tozu Theater Supervised by Haldun Dormen.Besides poetry and storytelling, I also write theater play. I have yet an uncompleted novel.I want to convey my feelings, ideas and longings to public by via poem, story, essay and painting and I want to be a world poet and a writer in literature. OPA: Do you think literature or poetry is essential in our life? If so why? How does it relate to the general history of mankind? LEYLA ISIK: The basic concept of literature (poetry, story, novel etc.) is human who is a social entity. We can find all human relations in literature. Because literature is a mirror of society, it is natural that the changes in society are reflected in literature. Lives, feelings, thoughts, beliefs and wishes of the poet / writer who lives in this society also change together with society. This change also leads to the change of literature. Literary works influence the society by giving people's beliefs, sadness, suffering, values, desires, longings via poems, novels, stories, tales, proverbs, idioms. It is important for this reason and the relation with the general history of mankind is related to language, history, sociology, psychology, philosophy, literature. OPA: Our readers would like to know your own personal experience regarding the importance of literature and poetry in your life. 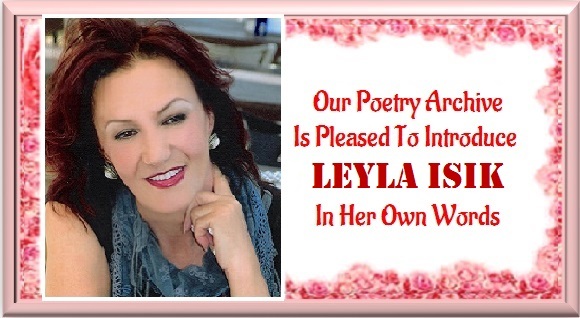 LEYLA ISIK: In order for my readers to understand the importance of poetry in my life, it is necessary to read the following text, "A Journey to my Poetry ". I had no chance to stop time flowing, and was partly experiencing happiness in it while my pains were flapping. You started knocking on my door as the time that has taken me away was affecting me. You were like a lover, like a breath. You were a breeze sweetly blowing in the hours when the sun wrapped us in all its glory. At such moments, you were my hero, and just to spite the sun I used to give my arm to you, and sail into the infinity, swinging. You used to whistle in my ear, constantly saying, 'Recognize this enthusiasm.' At first, I didn't used to understand it. I later combined you with the sun, the sky and the sea with the blue, and an endless journey with love. With its increasingly rising identity my soul was telling me to seek you. On that day I departed for deserts, and on that day I started piercing mountains. Those who were around me did not know what I was seeking. They could not know the place where I was seeking you because they were not there. You who knocked on my door as one unknown in the years of my youth have now would be the known passionate love that I cannot give up. And I have decided to fall in love with you. You sometimes came to me, hiding among pages but mostly came out of life and held my hand. Your hands were my coolness in summer days, and my warmth in crazy coldness’s. My hands that I have left in your hands would not know anyone else's hands but yours. I cannot fully define that feeling but I understood that I could not do without it. Was it a state of madness? A word in you would take me to unseen places. In the places I went, the calls of other places saying, 'Come.' No, no! My going was not a straw on a stream of water. I was gladly living my every moment, and gladly taking my every step. What kind of love was this? I didn't even know its name. Your winking when you said, "My name doesn't matter." is still fresh in my memories. Because you knew I would unwittingly find you name. Although you seemed alive and kicking, your developed identity had such an experience. I have believed in this, sometimes running, sometimes limping, and sometimes breathlessly putting my hands upon my waist on the way to God. You would be respectful to those who are loyal to you, and those who take pains with you and you would always stop at nothing to evince this. You were the reason for the blooming of the suns inside me while getting wet in the craziest rain, and you were also the one who came down to me like a beardless johnny-on-the-spot when I was at a dead-end in a most wretched manner. I decided not to love anyone else, and with the greatest love in the world said, 'My poetry,' to it. OPA: Do you think people in general bother about literature in general? Do you think this consumerist world is turning the average man away from serious literature? LEYLA ISIK: According to necessity of era we are in, people are not sufficiently interested in literature because they use social media more than needed or they do not use it properly. In our day everything is consumed quickly. I think that people are also away from literature within this consumption environment. Solutions should be produced and opportunities should be provided to raise awareness of the community in the early ages. OPA: If humanity tries to understand tradition and modernism; do you think literature can play a pivotal role in obtaining understanding? If so, how? Again, how can an individual writer relate himself or herself with the tradition and modernism? LEYLA ISIK: Modernism is a particular literary concept that is widespread in the beginning of the 20. century and is described by certain literary methods, ways, and sensitivities, especially after the First World War. The first names that come to in my mind on modernity in literature are: Joyce, Rilke, Woolf, Kafka, Faulkner, Proust, T. S. Eliot, Valery, Beckett. Modernist literary activity; it is not a writing activity that is done to capture the life itself as it is, but an artifact which is made by itself and meaning is an artifact that emerges with its own inward turn. For this reason, modernist literature has broken the "representation" relationship, which is the most powerful part of traditional literature. The closeness and immediacy relationship between the creator of the work of literature and the creator’s life which the writer is benefiting it, is not a meaningless scale that can be waved aside. Modernist, by intending to reach a whole and to an intuitive poem with a strong will by catching the world from one corner and by demonstrating a deeper form of effort according to the previous prose writers can associate modernism with itself. 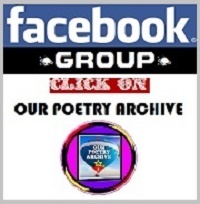 OPA: Do you think society is a factor in shaping you as a poet, or your poetry altogether? LEYLA ISIK: I see society is a factor as a poet or shaping my poetry. The society traditions, social, economic and socio-cultural structure I have in it will feed and enlarge my literary identity. 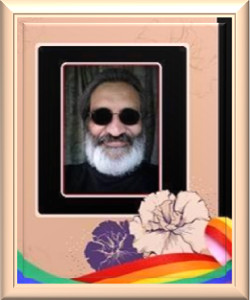 All the experiences of the era that I have tried to offer aesthetically in some sections of my life and artistic and entertainment trends are influenced by the festives, wars, separations, desires, passions and beautiful constructions in my life. "Woman" and "night" are two indispensable elements of aesthetics and my poetries. You can also see that the concepts of war and peace reflected in social sensibility in my poems. 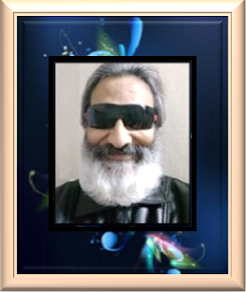 In my poems I present social messages through an aesthetic filter. Even though I am a poet of love, there are social messages even in my poems. OPA: We would like to know about any influences that has inspired your poetry and writings. LEYLA ISIK: My congenital structure able to write and ability allows me to move from reader stage of poem to poetic production. Every event, formation, observations, emotions and thoughts that surround me triggers me to write poetry. I am very impressed from the nature, from the night, from the rain. The poets, authors and their arts are also calling the others to write, to create their own original work. The works of contemporary poets and writers deeply influence me. So it is not possible to write poetry without reading poetry, listening poetry. We can also add songs, Turks folk songs, lullabies, Turks mani. It forms from a little bit inborn and a little bit external factors. The subject of poetry, events and thoughts that I consider, the emotions and enthusiasms that I want to reflect, concepts such as rhythm, measure, image and repeats in terms of sound, they are the things that should be in my poem. 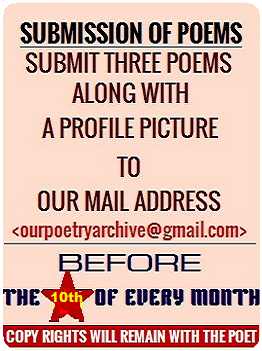 Poetry is an aesthetic, semantic, phonetic, organic, historical, social organization. Naturally, it is also a linguistic group. OPA: We would also like to know; how do you relate the present literary trends with the literary heritage of your country? LEYLA ISIK: It is necessary to touch on the currents of beliefs and ideas that have established the Turkish poetry tradition in order to relate current literary tendencies to the literary heritage of our country. The community without poem is unthinkable. Every nation has a tradition of poetry in the historical process that it created. It is very important in terms of carrying and understanding the Turkish poetry tradition to the right level. Turkish literature in the Republican period was divided into two periods as 1923 - 1940 period and after 1940 period. Republican era had been nourished and developed with three traditions as western poetry, Divan poetry, folk Poetry like post-Tanzimat renewal era. The strongest influence we call Western poetry is actually French poetry from the begining. In recent years, however, the influences of British, American and other national literatures have also participated additional to French influence. Successful artists have especially studied western poetry, made them translations and exhibited their own powerful poetry. Ahmet Hamdi Tanpınar, Ahmet Muhip Dranas, Nazim Hikmet Ran, Necip Fazil Kısakürek, Cahit Sıtkı Tarancı, Orhan Veli Kanık, Behçet Necatigil are the first to come to in mind. Today, it is not only the western world, but the translated literatures from all the countries of the world are taking place among the sources that feed our culture. Some poets, just as form and prosody, do not go beyond showing the presence of this influence as continuing Divan poetry. However, those who contribute to the poetry of the Republican period by understanding their image world and its structure and contributing to their poetry. Attila İlhan, Behçet Necatigil, Turgut Uyar, Edip Cansever, Hilmi Yavuz these poets have three traditions of poetry. The most important source in the early years of the Republican period is the tradition of folk poetry. The last representative of folk poetry tradition is Aşık Veysel. Folk poetry and culture are the nourishing resources that Turkish poets will never give up. The ongoing language debate is tied to a scientific conclusiona and Turkish literature has escaped imitation of Western contemporary understandings and had found its own personality. The gap between the people and the intellectuals was tried to be closed, our literature has successfully maintained its development in line with contemporary understandings. The new world views that emerged after the Second World War made radical changes with the understanding of art. The trend towards homeland and rural problems have been continued in stories, novels and theater works. The difference between the writing language and the speaking language had been vanished and simplification studies of the language have been continued. Our literature has acquired a socialist character and a realistic understanding in literature has been worked out. Syllable has taken place instead of “aruz”. The daily conversation language had been used in poems. The poetry was further liberalized in form. Literature had not only been the focus of a privileged segment, a number of writers had also grown outside Istanbul. Social realism dominated in the story and romance. All Eastern societies and Turks are emotional. I am trying to solve love and human psychology by taking advantage of the tradition of Turkish poetry. OPA: Do you believe that all writers are the product of their nationality? Is it an incentive or an obstacle in becoming an international writer? LEYLA ISIK: I do not think that the authors' nationality would be an obstacle to being an international writer. The important thing is that the writer’s contribution to the world literature. 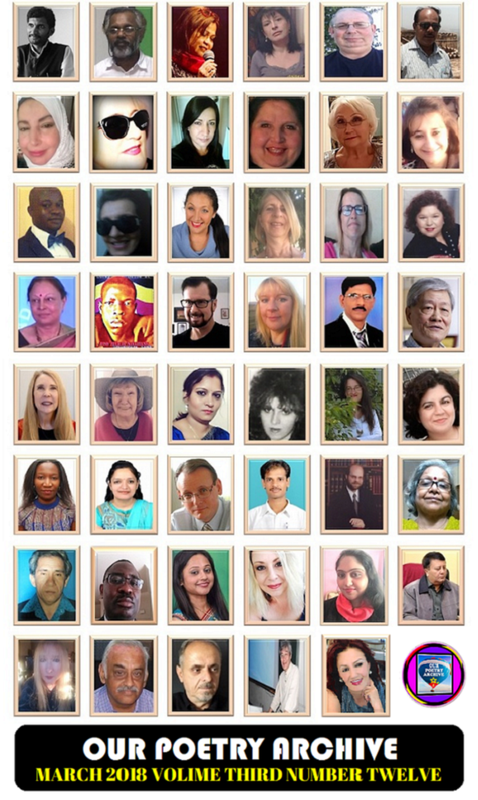 Writers must be remembered and exist in the international arena with their literary qualities nourished by their language, religion, race, and society, rather than their color, language, religion, race, and society. OPA: What 7 words would you use to describe yourself? OPA: Is there anything else that you would like to share or say to those who will read this interview? The editorial staff of this project: Stacia Lynn Reynolds and Deborah Brooks Langford; sincerely thank you for your time and hope we shall have your continued support. In your absence I have conversations with me at the hours belonging to me. I dredge up the pyoid separations. In order to remove the poison of being without you that contaminated my blood. My heart aches, grieving over the dredged-up separations. I take to the road to you as if I were flying, and wear sad-looking wings for catching fireflies in the utter darknesses. Has the winter in my heart closed the roads off . . . or the fallen september leaves of my faded dreams have done it? . . . I do not know . . . I do not recall. It must have been due to my wish to forget it. My memories have gathered dust like the faded pictures in an old chest. you never thought . . .
that sometime other names would be carved on my name you carved . . . or the trunk of the old “plane tree” defeated by life would be pruned, did you? I guess the reason that I cannot hear whistles in birds' sounds anymore is this. Neither the boza seller's 'bozaaa!' voice, who passes through the street! . . . Nor the junk dealer's 'junk dealaa!' voice . . . Nor the kids' "tag you're it!" voices that are mixed with the evening darkness . . .
a pair of hazel eyes I can look their pupils into . . .
and your sweat that soaks on my skin like falling raindrops. your kiss with the lips of the night like fluttering of the rose you attached to my chest . . .
your forgetting your hands timid as a sparrow on my skin . . .
Do not recall the nights you were late. Water the purple bunches on my body. Grow taller in the very fine night . . .
Let the skin smile innocently, like a purple violet. Shower love wet with rain on my lips. Be (my) passionate love that does not end. -In the very heart of the night, my heart flutters. It finds its tongue like telling an old fairy tale. Had sunk into the deep waters of reunion. We are two timid alone. . .
Our skins wake from sleep. FROM MY LIPS TO MY TOES. .. The blaze of the evening on the windows. . .
Used to come down into my eyes. . .
Used to hold on to the hair of the curtains. From my lips. . . to my toes. . .
And kissed wild flowers. . . The most beautiful hours of the day. I took down your pictures from the wall one by one . . .
were waiting for being caressed. at the head of our mattress. and have not shown their faces to the day yet. Our dreams in the overturned glasses. and on the torn calendar pages . . .
and I wanted to lay the night over my eyes. The leady rains have lined up on my eyelashes. Loneliness is on the alert. And to brim over as the last drop that fills the tumbler. The most beautiful feelings with you.